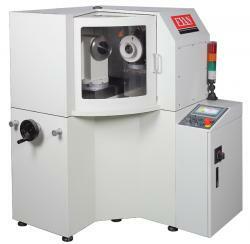 Eyan Machine Tools Co., Ltd will display their Saw Blade Sharpening Machine and Circular Knife Grinder at Taichung Manufacturing Technology Show on Nov 5 - 9, 2014. 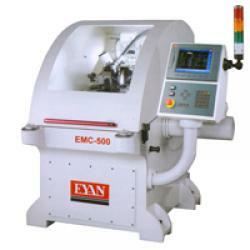 Eyan Machine Tools Co., Ltd will be participating in Taichung Manufacturing Technology Show. Booth No. : 1A326. Various of Saw Blade Sharpener,End Mill Sharpener EY-32C, Saw Blade Chip Break Machine BR-650, Saw blade Sharpening Machine S500,Circular Knives Grinder CVH-500D, Saw blade grinder EMC-500 4A will be on show. Welcome to visit! EMC-500 CBN.CNC full automatic computer numerical control circular saw machine is made by the innovated technology; it is full automatic CNC processing center controlled and is with precise structure, its speed is faster than other equipments of the same rank. Circular Knives Grinder with precise snuciure design and user-friendly design can have further adjustments on forwarding cutting even after closing the splash guard. It is much safer and reduces noses greatly - A precise and environmental machine. Copyright © 2015 EYAN All rights reserved.